I am very excited to recommend another resource of interest to our community. Kristen Michaelis of Food Renegade created a self-guided online course, followed by a book, which I’ve decided to highly recommend via our Amazon affiliation. As a former teacher and learning specialist, I found that the course to be extremely well-organized and fairly comprehensive. I am the kind who learns best with structure and clarity. Each lesson has a section for goals, workbook, reading, video, “bringing it home” assignment, and “further up and further in” opportunities. Following each lesson is an a forum which allows one to comment, ask questions and discuss with fellow students and the teacher, being Kristen. I like the way the workbook takes you step by step through the lesson, instructing you to watch videos, read articles and then answer questions. For example, “Think about everything you eat and drink in a typical day. Now, compare this to the common principles of traditional diets found in Sally Fallon Morell’s segment of the video above as your guide. How does your diet measure up? What sorts of things are you resolved to improve, if any?” I also think that the inclusion of the first person testimonials in every section whereby mother’s share their birth stories is extremely valuable. The reader has an opportunity to glean the pearls of wisdom each story offers. I didn’t preview every video because there are over 20 hours included however, it appeared to me that they were a mix of originally created narrated slideshows by Kristen and some video content created by others. Lesson 3 – Why Real Food? Lesson 7 – Alternative Medicine: Crackpot or Beneficial? As the book’s Table of Contents reveals, the book covers much of the same content, however it also offers 34 pages of recipes. In my opinion, the scariest place to learn about nursing is the internet. Sure, you can type in a search query and instantly find an answer. But you could also wander into a breastfeeding forum, let drop that you don’t co- sleep, and be labeled the devil incarnate because you dare to put your new- born to sleep in a different room from yours! Or, you could be reading a blog about breastfeeding, comment with a bit about how you’ve had to wean your eight-month-old daughter because she went on a two week long nursing strike, and quickly be berated by an angry horde because you “gave up” on nursing “without even trying!” These are called Mommy Wars. And they’ve infected the internet like flies on poop. Zealous moms do research, become impassioned advocates for a particular way of doing things, then insist that it is absolutely right for all parents, all mothers, all kids, everywhere, and for all time. When moms with opposing views get together in the same online space—watch out! In the middle of the Mommy Wars, it’s not uncommon to read someone rabidly profess that breast milk is always best. No matter what you eat, they say, your breast milk will be perfect. Your body will always make the most amazing milk possible, even at your own expense. It will prioritize nourishing and protecting that baby. This—there’s no other way to put it—is bunk. Pure myth. It goes against all common sense. We know that the composition of breast milk is always changing due to the mother’s environment and diet. * The more nutrient-dense the mother’s diet, the more nutrient-dense the mother’s milk. We also know that the opposite is true—the less nutrient-dense the mother’s diet, the less nutrient-dense her milk. How many news stories do we need to see before we believe it? In 2011, a Russian mother was charged and found guilty of killing her baby with alcohol poisoned breast milk. She’d been binge drinking, nursed her baby while she was wildly drunk, and her baby died. It’s utterly tragic, but it’s also common sense. We know that what you eat and drink changes your milk. It’s why we tell moms to practice common sense when drinking and nursing. Want a beer? That’s okay. Just drink it after you put your baby to bed at night, don’t drink to excess, and wait a few hours for the alcohol to leave your system before you nurse your baby. (Be warned that alcohol actually reduces milk supply, so you shouldn’t indulge if you have any supply issues.) Earlier in 2011, a vegan mother was charged with criminal neglect after her exclusively breastfed infant died of nutrient-deficiencies common to vegans—lack of vitamins B12 and A.8 Clearly, her nutrient-poor diet made nutrient-poor breast milk. And her baby, her little bundle of joy, died. We can’t keep perpetuating this myth. Is breast universally, always, unequivocally best? I think it’s clear that in some cases, the answer is obviously no. This should give us pause. It is not enough to simply breastfeed your baby. Your own diet matters! * Prentice, Ann. “Constituents of human milk.” Food and Nutrition Bulletin. The United Nations University Press. 17.4 (1996). Print. What Kristen wrote above reminded me of an article I wrote that asserts that not all breast milk is created equal. In my opinion, none of us who teach about the timeless nutritional principles outlined in Beautiful Babies can promise that your child will never have an ear infection, or need glasses or braces. Nor can we ensure their wide faces with high cheekbones. Sometimes it takes more than one generation to reverse the trend of physical degeneration, and sometimes a child still develops crooked teeth despite it all. Yet, what I think we can assert is that your child will have more likelihood of radiant health and wholeness if you follow the traditional dietary wisdom clearly described in Beautiful Babies. I highly recommend the book and a self guided course that includes a plethora of reading and viewing content! I will be adding Beautiful Babies to our recommended reading list, with Sally Fallon Morell’s blessing I might add. Thanks for this! I do believe I will be purchasing that book! Lisa, I will get back to you about guest post! I think the book, along with the course, is an excellent value and resource! I tried to send my receipt and it said that the address didn’t exist. What should I do? I have used the email successfully myself: booklaunch@foodrenegade.com perhaps try again?! I’m a first-time Mom of an 8-month-old. Would this resource be helpful for me? I had initially sort of written it off, for me personally, since I’m not pregnant (and don’t know if I’ll have any more babies), and I don’t want to read it and be discouraged about things I didn’t do right while I was pregnant (though I did try the best I could at the time). But since I’m just starting to introduce food to my baby and would like to continue breastfeeding for as long as possible, after reading your review I’m wondering if it might be a helpful resource for me. I have recently purchased your DVD (still waiting to receive the email file) and have the e-book from Mommypotamus. Would this provide me additional help? Hi Tara, Katie will be engaged in distribution of our educational materials today! She is a mother of 2 young children herself, so she doesn’t engage in this workflow every day. We thank you for your patience! Do you have the revised version of the Nourished Baby ebook from Mommypotamus that I redesigned for her? I am just curious! Kristen’s book does offer some recipes that may be unique, I haven’t compared and contrasted hers to that in Nourished Baby, however, my instinct is that in your case, based on what you’ve shared, there isn’t enough content in Beautiful Baby that you won’t already have. I do recommend however, that you consider this review – https://nourishingourchildren.wordpress.com/2013/02/07/a-new-nourishing-traditions-book-focused-on-babies-and-children/ I think The Nourishing Traditions Book of Baby & Child Care will have a lot new content for you and would definitely recommend that as an addition to our DVD and the Nourished Baby ebook! Thank you so much for your thoughtful reply. I did, in fact, see what you said about the new NT book, and have already ordered it. It is arriving today, I think. It sounds like I should have all the info I’ll need in these resources I have plus the new book arriving today. Looking forward to receiving the DVD files as well. Thanks again! Wonderful, Tara! I hope you’ll join us for our book club discussion! 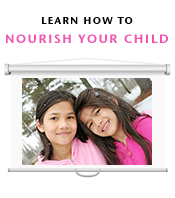 Do you have the latest version of Nourished Baby? Oops, forgot to answer your question previously. Yes, I have the updated ebook from Heather, and at the same time, during the promotion both of you were offering, I got your ebook and the DVD file and am looking forward to receiving both. So yes, I think I have the latest version coming my way. The titles get all jumbled in my head (sleep-deprived mommy! ), but I think I have (or will soon have) all the ones you are mentioning. I can’t wait to read this book. I have a 7 month old child plus two other small children. I am always looking for health ways to make food for them. So excited to read this! My kids are grown – I made so many mistakes and am seeing the health problems that have resulted! Glad to have this resource to be able to share with friends and clients so they don’t make those same mistakes. Lori, what you’ve written is what inspires us day in and day out! That is the reason behind Nourishing Our Children! I took the Beautiful Babies E-course and found it really helpful. I can only imagine that this book will be great as well. I think the book will serve as a succinct summation to the course, an easy reference guide to find the content. Yes! I would not promote it if I didn’t think it was! I’m excited about this book. I plan to request it at our local library so that everyone will have access to this wisdom! Wonderful – I hope your library will be willing! I’m very excited about this book. I want my midwife to have a copy to share with her other mamas. I love that idea! Spread the word, eh?! I am looking forward to learning more. Looks interesting! Would love to read! I’m going to buy! But I’d love to win the giveaway!! I’m so excited to get my hands on this book!! We’ve made a lot of changes in the past year already and I just know this will further deepen our understanding and practice of traditional foods!! Would love to learn more, as the journey never ends to having a healthier life for me and my family! So true, the journey is ever evolving! After reading the review, I most certainly would love to get this book! Already added it to my Amazon wish list. Seems like such a well-thought-out and compiled work. Thank you for promoting it! As a breast feeding first time mama to a 3 month old, I have been completely devoted to finding the best, most nutritional foods for my baby boy. As a child I was fed many processed foods with dyes, preservatives, etc. I want better for my son and look forward to your guidance! Amen, Amy! You are the reason Nourishing Our Children was established! I preordered my book and can’t wait to read it! This would be such a blessing to my family as we prepare for our fifth & sixth babies due in May. Our oldest daughter, 15, is wanting to be a midwife, so having her do the e-course for high school credit would be a wonderful compliment to the FR nutrition e-course she did last year. Thank you for this! Wow this is a book that every woman hwo want’s children should read! This is amazing! i’m really interested in your book! I so wish I had read a book like this during my 6 pregnancies! My youngest has allergies and eczema and I often wonder if it is because I leaved on fast food during that pregnancy. I would love to purchase this book for my 5 daughters and daughter-in-law. Is that being a pushy mom-in-law/mom? Lol! Would love to win this fabulous gift! I need this book. Not just for me. I am a support group leader for pregnant women and their families, and would love to add this to our library. This is amazing! Food Renegade is awesome. I think this would be a wonderful addition to your library resources! I know I eat well – but I would love to have access to the course videos and the resources in the book as there is always room for learning and improvement. I feel that this would prepare me to have healthy babies someday! I trust that it will – it is such a valuable resource! I think Kristen did a beautiful job. I would love love love to read this book~ my hubby and I are going to be trying to have another babe some time this year! there is always room for improvement on our eating!! we got to grow beautiful and healthy babes! I want to be able to have the healthiest children possible. This book makes me excited and hopeful about being able to have that happen. I want to become pregnant but there are so many questions in my head! I’m mostly scared to take the step. I would love to get this book! Looks very interesting, I would love to read it! I would love to learn more! I want to learn more and spread the knowledge of nourishing our bodies and our children far and wide! This looks fantastic. I had problems breastfeeding and my hopes is if I have a second one, I can give breastfeeding 100%. Plus, I didn’t start my baby on a WAPF diet (only about 8 months in). 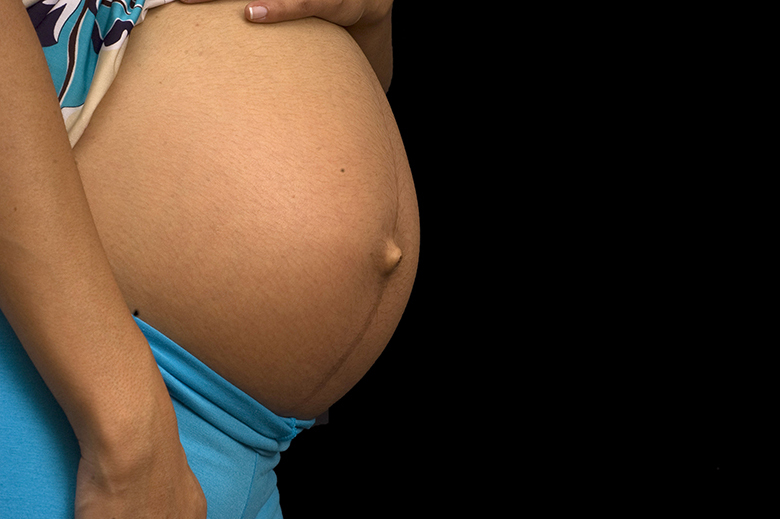 It would be great to see how to nourish the body while pregnant as well. A great resource to have not only for my family but to be able to share the wisdom with others! I cant wait to read it!! I am on the course on line and love it. when is the deadline? Does offer apply when preordering the book from UK Amazon too? Just saw the deadline I missed above. I hope it’s still ok to buy from Uk. you realize it says it is OK to drink alcohol while pregnant? How does this book compare to Nourished Baby if I was to choose one? Disposables, Cloth or … Elimination Communication? !